So we spend plenty of time on Facebook nowadays: talking, exchanging photos and just browsing. Is there any way to make use of all this mess? Can social media talking really turn useful? Here’s a simple example: say, I want to buy a computer and I want Facebook to help. My first obvious step is to SEARCH. So I use that handy search field right on top of the screen. 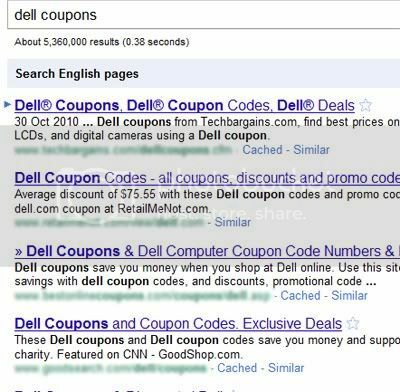 I go ahead and type my very first search phrase that comes to mind: [dell coupons]. What can I say, I am using Google most of the time and I am that straightforward. Obviously, this simple approach won’t work with Facebook: the first tab I see there is pretty much useless. 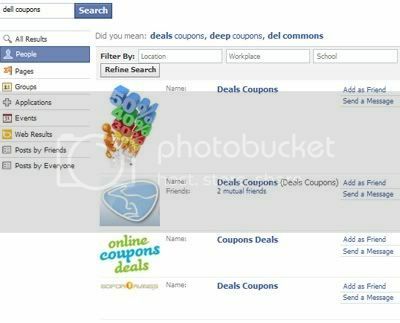 It’s the collection of the related (spammy) groups and applications that won’t give an instant answer to my question: how to quickly find a good rebate (besides, most of these are never updated). I am starting to think my search terms are wrong but there are more tabs out there, so why not keep experimenting: what do my friends have to say? OK, they don’t talk about that – quite understandably: neither do I! I still have a hope. I ignore “Web Results” – we know that they are powered by Bing and the purpose of the experiment is to play with Facebook. 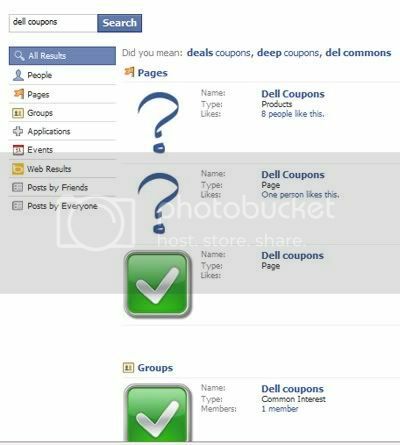 I don’t have much luck with “Events” tab – not surprisingly: I’d like to see a person who would set up an event for “Dell coupons” (possible but vaguely). Clicking that link does give me a few decent resources – but none of them actually lands me on the actual page where I can grab my coupon and go buy something. 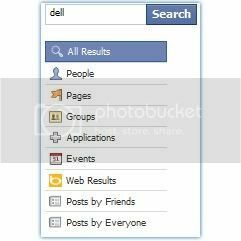 So is Facebook search useless? – I am pretty much sure it is not (for some purposes) but for now, for random information search it appears to be pretty much helpless. Is it going to change? – Social search does have the future. 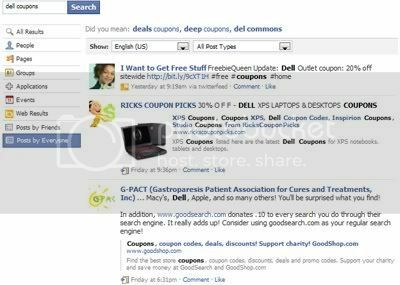 Facebook is predicted to be using its “Like” button to start ranking the web (like Google once did using the link data). I do want to see how these predictions come true. This is a guest post by Annie Wallace, a viral mom and social media blogger. 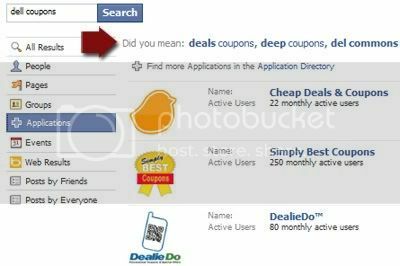 Web Analytics Facebook Search, Google, google versus facebook, Google versus Facebook Search, Google vs Facebook Search, Will Facebook Search Become Google's Competitor? Previous Article← In Heated Race For Georgia Governor, Is Blackhat SEO Pushing The Limits?